Does your child have allergies? 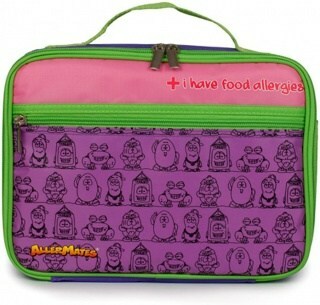 Then AllerMates Allergy Alert Purple Lunch Bag serves as an important allergy reminder to your childs teachers, caregivers, classmates and general public. AllerMates Lunch Bags are great quality, insulated lunch totes that are cool and fashionable and fits perfectly into your child's knapsack or school bag.